Robertas Šervenikas was born in Lithuania in 1966. After graduating from the M. K. Čiurlionis School of Art he earned choral as well as symphonic and opera conducting diplomas from the Rimsky-Korsakov St. Petersburg State Conservatory. His international career commenced in 1997, when Mstislav Rostropovich invited him to serve as an assistant in the production of Prokofiev’s “Romeo and Juliet” at the Evian Festival. Since 1998, they both have shared the stage of the world’s major concert halls. R. Šervenikas has also led various orchestras in almost all European countries, as well as Japan, South African Republic, Brazil, Israel and Russia. Noteworthy are his concert appearances in such halls as the Moscow Conservatory Concert Hall, Concertgebouw in Amsterdam, Auditorium de nationale in Madrid, Alte Oper in Frankfurt, Cadogan Hall in London, Konzerthaus in Berlin, Festival Hall and Symphony Hall in Osaka, Suntory Hall and Metropolitan Art Space in Tokyo, as well as philharmonic halls of Cologne, Hamburg and St. Petersburg. 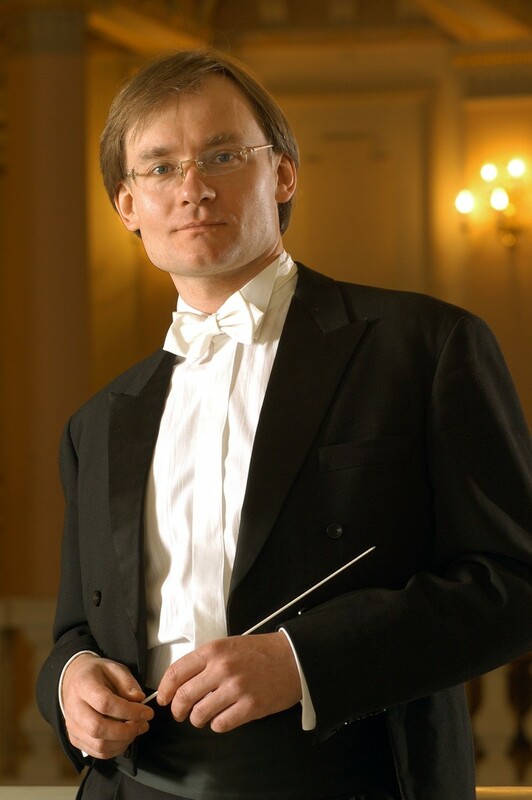 Since 2000 R. Šervenikas has been serving as the conductor of the Lithuanian National Symphony Orchestra. In recognition of his accomplishments, he was awarded the Lithuanian National Arts and Culture Prize in 2005. In 2008 R. Šervenikas was appointed the Music Director of the Lithuanian National Opera and Ballet Theatre. In this theatre he has prepared many premieres of operas (M. Mussorgsky’s “Boris Godunov”, G. Verdi’s “La traviata”, G. Bizet’s “Carmen”, J. Tamulionis’ “The Tiny Lingonberry”, A. Ponchielli’s “The Lithuanians”, P. Tchaikovsky’s “Eugene Onegin”, R. Wagner’s “Lohengrin”, O. Narbutaitė‘s “Cornet”, G. Puccini‘s “La boheme”) and ballets (“Barbora Radvilaitė”, A. Šenderovas‘ “Desdemona”, L. Delibes‘ “Coppelia”, G. Kuprevičius‘ “Čiurlionis”), and is conducting ballets “The Swan Lake”, “Red Giselle”, “Giselle”, etc. In 2016 the Lithuanian Ministry of Culture decorated R. Šervenikas with the golden Sign of Honour “Carry Your Light and Believe” for his exceptional contribution to the Lithuanian culture and art, his initiatives of inspiring the society for positive conducts, his personal responsibility in creating cultural and spiritual environment. The conductor’s repertoire encompasses opera, ballet and symphonic music, with a special affinity for contemporary works. R. Šervenikas has premiered many contemporary Lithuanian pieces, recorded several dozens of contemporary music CDs released by Naxos and Finlandia Records among many other labels. “And that the ensemble are throwing themselves completely into this story, so that everything, as Cranko wanted it, feels sensuous, without artistry, close to life, to a large extent is to thank to Robertas Servenikas. Under the baton of the Lithuanian conductor, who was often praised, Prokofiev can be experienced with his many colours, nuances and stories, even with closed eyes: the courtly splendour, the tension of the family strife, the lyrical gentleness of this young tragic love. And always fine transitions. The state orchestra can also do ballet!” (Malve Gradinger for “Münchner Mercure”, 9 November 2016).